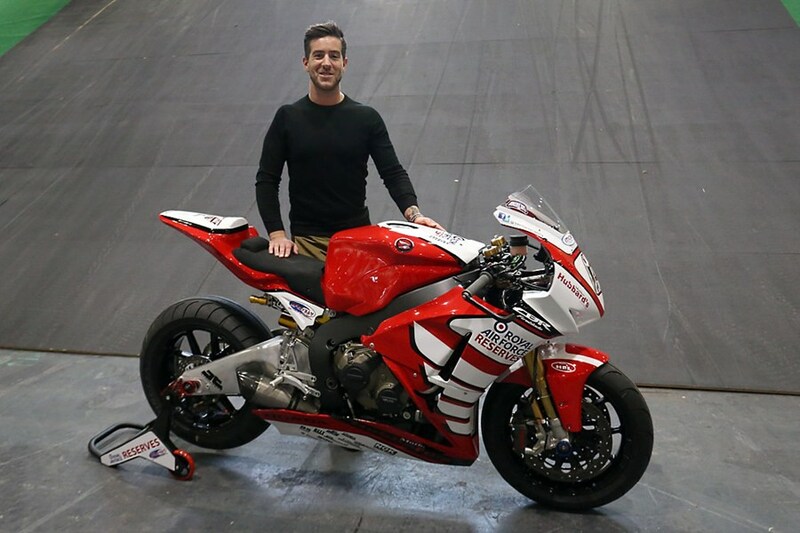 Twitter superstar and motorcycle racer Simon Andrews has been announced as part of a two-rider lineup at RAF Reserves Honda, joining Manxman Connon Cummins in the team. They will compete in the superstock class of the MCE British Superbike Championship onboard Honda’s new Fireblade SP. It marks a welcome return to racing for Andrews who suffered potentially career ending injuries during a crash at Le Mans last year. Cummins will also campaign the new Fireblade SP in the superstock classes of the NW200 and Isle of Man TT for the RAF Reserves team. Meanwhile Andrews will be on board the penz13.com BMW S1000RR for his superstock effort.